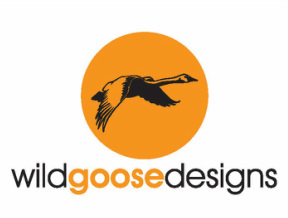 ﻿Wildgoose Designs took flight in May 2012. I began crafting and sewing in 2010 (having been told at school that I couldn't sew!) and subsequently completed courses in sewing, felting and mixed media. My work varies, depending on my mood, what fabric I have available and where my sewing machine takes me...I have discovered that just about anything is possible! My particular love is free-machine (or free-motion) embroidery; drawing with your sewing machine. 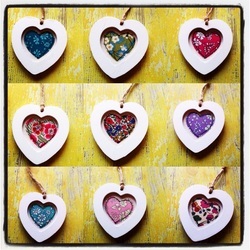 Kirsty Allsopp calls it “the crack cocaine of craft world” – I have to admit that I agree! I also have an obsession with Liberty print fabric and often add splashes of colour to my pictures with it. If you have a particular colour-scheme or design in mind that you can't see on my website, please do email me with details – I am happy to provide a no-obligation quote for bespoke products. Why not follow me on Facebook, Twitter, Instagram and Pinterest – I can’t promise to be wildly interesting, but will at least attempt to keep these up-to-date! As well as sewing, one of my other loves is genealogy and I have spent several years researching my family history. My maternal Grandmother’s maiden name was Wildgust and I discovered that a few generations before her the name had been changed from Wildgoose. Hence, Wildgoose Designs! If there are any other Wildgoose/Wildgusts out there, please do feel free to contact me, or check out 'A Gaggle of Geese' website which has lots of information on all variations of the surname Wildgoose.